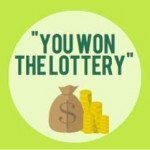 Before we discuss thelotter.com below, we would like to make the point that not all online lottery or lotto services are scams or even questionable. If you would like to play lottos online, we recommend playing at Ladbrokes. Ladbrokes recently has added online lottos to their list of services. Rather than sign up and play at a dubious online site, we recommend playing at a site that can be trusted such as Ladbrokes. The link you provided (concealed) appears to be just an affiliate’s website that leads to thelotter.com. btw, we didn’t see that email, so we assumed everything is normal (i.e. not a 419 lottery scam or phishing email). So the question is whether thelotter.com is a scam. We cannot tell you if it is a scam or not, unless there is evidence. You may read our opinion about online lotteries here. All we can say is that everything is pure business until someone really wins big-time and issues a press release. As for me, I would prefer to hold the physical tickets in my hand. What guarantee do I have that you will pay me when I win? A Regarding assurances, on top of all measures presented through the site we do believe and hope that our unquestioned reputation of many years of first class service provided to our huge and loyal clientele, first over the phone and currently over the web, speaks for itself. thelotter.com should provide more transparency to such matters. It isn’t about the number of lottery, or the prize money. Its about gaining the trust of customers to let thelotter.com handle the physical tickets, and providing assurance that the winnings will be paid out honestly. These should be highlighted somewhere big on the website, with links to evidence or endorsement by the authorities. What we mean is that any information that would help to gain the trust of potential customers should be placed somewhere easier to find, perhaps a direct link on the top menu. This is especially important for “online lottery”, which does not seem “legal” (will skip this factor). We did not like the idea of digging deep into the FAQ to find the answers, e.g. how the tickets are managed. Allay the fears and address the key concerns upfront – this is what we would prefer. Nevertheless, we know some punters don’t really care and just take the plunge. Why does theLotter.com use Jackpot insurance? A. Being the world leader in global lottery services, and in order to give our customers the best possible winning protection, we implemented a unique Jackpot insurance to insure payment of jackpot prizes in cases that the original lottery ticket was lost or not purchased for any reason. With this insurance in place, supplied by broker of Lloyd’s of London-Tyser Special Risks Management, our customers can be sure that when they’ll finally meet their fortune, they will not have to rely on luck for getting their money. Due to some technical errors, we are unable to include the link to the second question. It is actually on the same page as the first FAQ extract. We did a check some time back regarding this and received confirmation from Lloyd’s that there is a first class insurance in place. We do not have further details other than this written confirmation. > their legal liability to pay winners of jackpot prizes in their lottery. > RegardsWe are not going to post the exact sender’s information in this blog. Also note that we are NOT posting this mail to convince or invite you play the lottery. We are not affiliated to thelotter.com in anyway, and I still prefer to buy physical lottery ticket. 2) How do they assure customers that they will get their winnings? The need to dig deep to find these answers that are hidden among the lesser issues gave the impression that there is a lack of confidence. A first class insurance probably isn’t cheap, so why should this fact be hidden deep inside the website. If I am the owner, I would put a big sign right on the front page to say that the winnings are insured (with reference to established agency). But why wasn’t this done? We have our thoughts about a “third question”, but we are not prepared to share them further due to the lack of “authorised” information (e.g. the legal question). But we decided to write only our opinions based on the facts. We hope that you are satisfied that we have shared what we know about this issue. Have a scam you’d like to report? Please submit your experience via our Contact Form. If we post your report, we will provide you full credit as the contributor. I agree they should have the insurance policy up front and posted in full detail on the site. I couldn't find any reference to it. Further, without seeing the Insurance policy, the so called insurance is irrelevant. In any event their Terms and Conditions specifically exclude any liability whatsoever (other than the cost of the ticket) for lost or converted or stolen tickets, so why would they need an insurance policy? I have purchased many lottery tickets on the lotter websites but I never received any scanned ticket sofar..After few months when I questioned them they told my email not existed with them..
part from their own staff writing rubbish, thelotter.com is without a shadow of a doubt a legitimate criminal enterprise and scamming site. They are also rumored to be associated with criminal activity and there are many investgations under way on their company at this time across jurisdictions. 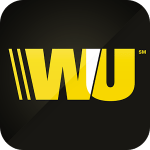 They operate between legal boundaries and are widely reported as scamming many people all over the world. Go to sites like trustpilot and others to read and be very careful of trusting their paid/placed "reviews" on the internet. In this case, it's a genuine caveat emptor. CAN I BUY POWERBALL TICKETS THROUGH THE INTERNET? No. Start with that answer and then slowly back into "sometimes". Gambling is illegal in the United States. A State has the right to gamble or create a lottery ONLY within its borders. When a game or information about a game cross a state line, or the national border, then it falls into federal jurisdiction. So, some lotteries do sell TO THEIR RESIDENTS through the Internet but not across their state line. Powerball tickets can only legally be purchased at a state lottery sales terminal in the lottery jurisdictions that sells the Powerball game. A lottery can also legally sell tickets on the Internet, but only to persons within its own state. No one can sell lottery tickets by mail or over the Internet across state lines or the U.S. national border. No one except the lottery or their licensed retailers can sell a lottery ticket. No one. Not even us. No one. No, not even that web site. Or that one. You really don't need to send me questions about a specific site. None of them can legally sell lottery tickets across a state border or the U.S. border. No. Law prevent the SALE (exchange of consideration) of any interest in the outcome of a gambling event. If you are not buying from a licensed retailer in teh state or from the state lottery site (within the borders of that state), then you should not expect to be able to collect your prize. There are no regulations of websites that claim to sell tickets or to sell you a "service" to buy and hold tickets for you. 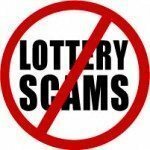 Many lotteries believe that they would violated state and federal laws is they paid on those tickets purchased (if actually purchased) by an unlicensed reseller. You can legally travel to another state, buy a ticket, and bring it back to your home state (at least I believe that no state now has a law forbidding the possession of a lottery).